Happy Halloween everyone! My plans this year for Halloween were last minute. 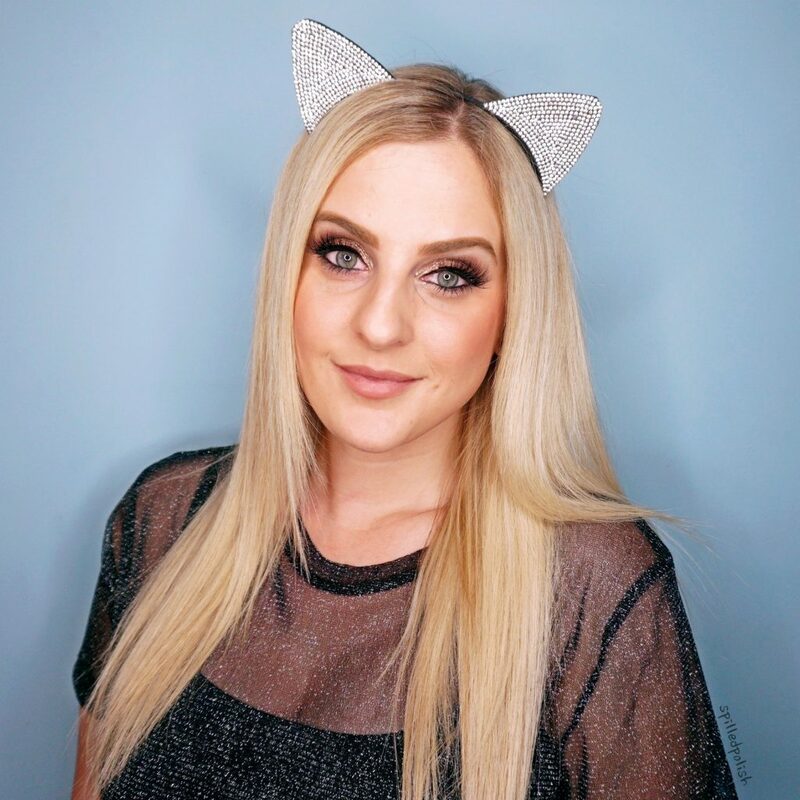 I didn’t want to put much money or time into an outfit, but when I was shopping at the mall last week and saw these sparkly cat ears from Urban Planet. You all know Urban Planet is my favourite store to buy clothes from; obviously my sparkly shirt is from there too! I figured I could make myself into a glam cat! 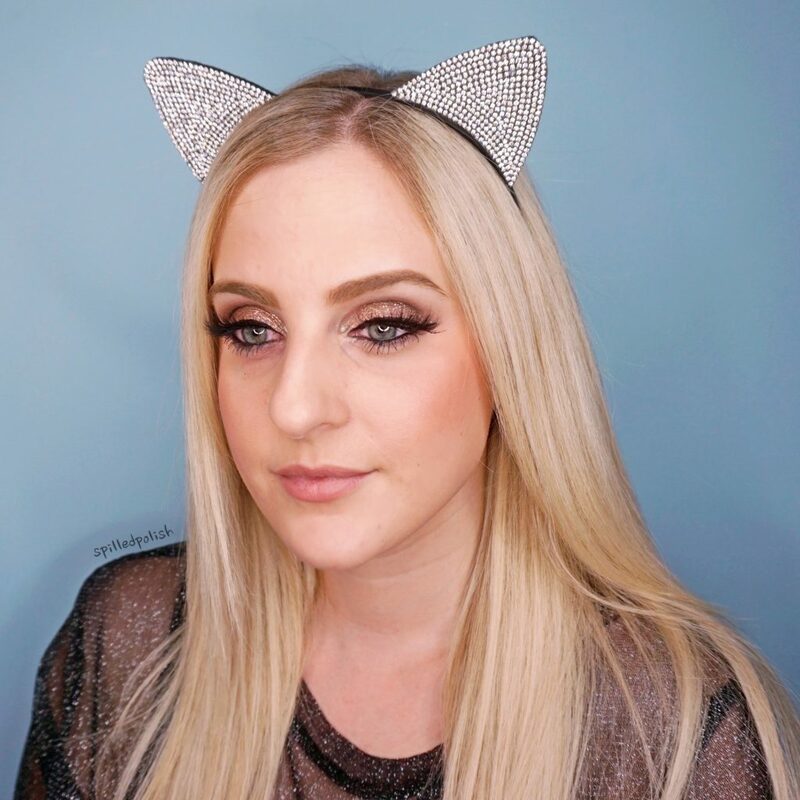 I didn’t make myself look like a full cat (whiskers or cat eye makeup), but I think a low-key glam cat was easy and fun to do. It’s funny that my makeup was packed on and I felt like I overdid my eye makeup, but in photos, my makeup looks normal. For my face, I used Maybelline – Fit Me Foundation in shade 120 all over my face, and Tarte Cosmetics – Shape Tape in fair beige under my eyes to try and conceal those dark circles! I used Essence Cosmetics – Satin Touch Blush in 30 Satin Bronze. I used Wet n Wild – MegaGlo Highligher in Crown of My Canopy. I used a bunch of shadows from BH Cosmetics Essential Eyes palette. I received a new glitter eye shadow from Wet n Wild at their 2018 product launch event a couple of weeks ago – their Color Icon Glitter Single in Brass. I used this glitter all over my lid for extra sparkle. It was difficult to apply with a brush.. actually it was near impossible. So I had to use my finger and basically blot it on. I finished off the eye look with Esqido’s Illumina Lashes. Definitely the perfect lashes to go with such a bold eyelid! I used a new brow product from Wet n Wild, but it’s new so I can’t show it off yet since it’s not even online! What are you doing for Halloween tonight?